No need for any fancy-schmancy real estate agent to tell you how to sell your house. All you need is this Sell Your House Kit which includes all the tools used by respected realtors. 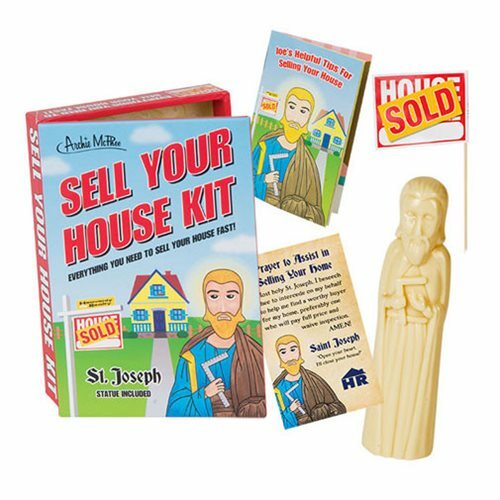 Included is a 3 3/4-inches tall Saint Joseph figure with a prayer on the back of his business card and a 16-page book full of the highest quality house-selling hints you can get. Also included are miniature for sale and sold signs. This kit comes in a 5-inches tall x 3 1/2-inches wide x 1-inch thick decorated cardboard box.